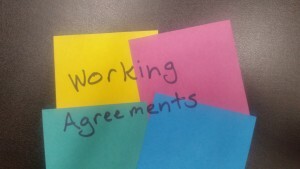 One of the foundational tools for Agile is Working Agreements. This blog will explore three uses for this power concept. First, what is a working agreement? A working agreement is a document of the values and behaviors that apply to a team. It facilitates great discussion about what will work for all team members. For software development teams, it could address topics such as after-hours availability, meeting etiquette, team member attitudes on interruptions, philosophical positions on accountability and more. Working agreements are powerful because they are crafted by the team, for the team. This is not management dictating terms; it is the team coming together to decide what works best for them. No two working agreements should be the same, and as team members change or teams evolve, working agreements should be modified to stay current. Now that we know what they are, how can they help build teamwork in even the most dysfunctional team? When developing a working agreement, the team is gathered in a relaxed setting where difficult conversations can arise without drama and theatrics. Let’s talk about whether starting meetings on time is important to us. If so, we can add it to the working agreement. If there is a team member who is chronically late, then this discussion isn’t about singling them out, but rather figuring out what works best for all team members. 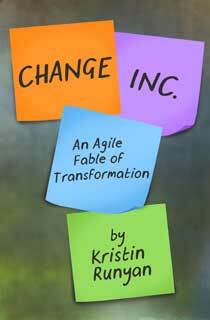 Agile is a powerful way to do business. It is not a magic pill and it will not solve all of your problems – but it will bring them to the surface where they can be positively and proactively addressed. A working agreement is one of the tools to drive that critical conversation.